Driving your electrical vehicle can still be polluting. There is no guarantee that you are driving on renewable energy, right? How can we accelerate the renewable share in the energy mix and at the same time lower costs? For one of the leading lease companies in the world, we are building a smart charging and energy proposition. This extends the one-stop shop for electric driving: Besides ordering a vehicle, charge point at home and card for on-the-road charging via one point of contact, one also gets the energy delivered to the lease car by that same supplier. Leasing companies have all insights about driving behavior of its vehicle users to schedule the sourcing of electricity at moments when wind or solar energy is abundant. It seems obvious to vertically integrate your services when they are so complementary. This is more than ever true for the mobility and energy market. The mobility market is disrupted by all kinds of new business models. Every day you can find new articles filled with buzz-words like mobility as a service, car sharing, connected cars, autonomous cars and electric cars. 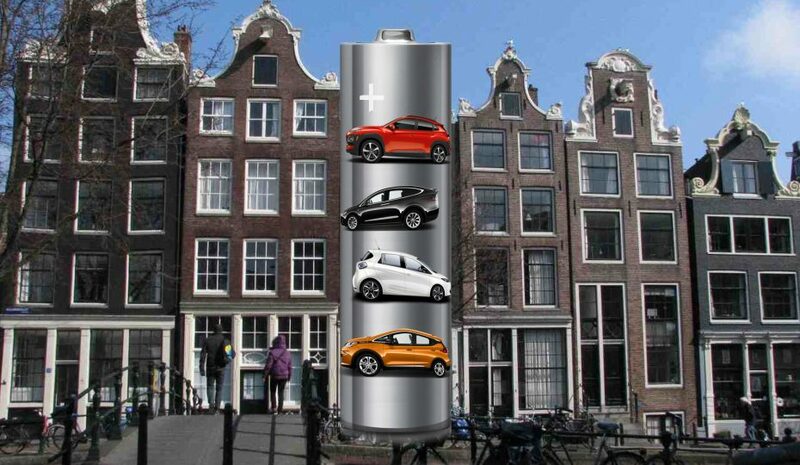 Electric cars are disruptive because of the double befits the vehicle can bring: to travel from A to B and to store renewable energy when it is abundant (for use when energy is scarce). In the Netherlands, 47% (source: vna-lease.nl, 2017) of all new purchased cars are bought by lease companies. This means that lease companies are in a very strategic place to develop new propositions for charging infrastructure and energy. Especially, since the energy market is not necessarily a difficult market to enter (let’s be honest, it is harder to distribute oil and exploit fuel stations). By combining the car lease offer with charging infrastructure and energy, it is possible to gain significant synergies. Not only by setting up the charge point, but also in combining the lease with an energy contract and smart charging. The smart charging services will be applied when the car is charged at home (or at the office), which result in the ability to charge the car only on the moments when the energy price is low (this happens when there is enough solar and wind energy) and therefore increases the renewable energy share in your battery. Once enough EVs are connected, additional business models will be added such as the use of the energy reserve market and off-the-grid capabilities by means of Vehicle-to-building energy supply. Interested in learning more about the possibilities of energy propositions for managed fleets, please get in touch with one of our team members.